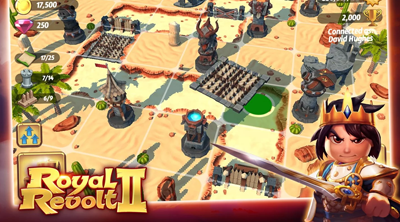 Here's a list of Towers, Path Defensive Structures and info guide for the real-time action and arcade reverse tower-defense game - Royal Revolt 2! If you are looking for some good Towers and Path structures to use for defending your kingdom, this guide will help you decide by providing some info through polls to see what other experienced players think is good! Choose your top Path defensive Structures below that you think (based from your experience) is best for defending your kingdom early game. Choose your top Towers below that you think (based from your experience) is best for defending your kingdom early to mid game. Choose your top Towers below that you think (based from your experience) is best for defending your kingdom mid to late game. Poll #4: Best Top Tower Combos! Choose 1 or more Tower Combos below that you think (based from your experience) is best for defending your kingdom. Let's say you are only given 2 or 3 Tower tiles, which 2 Towers would like to put there? Consider the effectiveness, strengths and weaknesses of the 2 Towers for better performance.